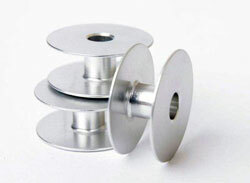 Handi Quilter Class M Aluminum Style Bobbin is the Best Quality Bobbin for Most Long Arm Quilting Machines. 18 inch Long Arm machines. Stock up now on spares.